Just owning an RV isn’t enough - you can take back control of the repairs and save money and time! Women can avoid ripoffs when getting their RVs repaired and possibly even unnecessary trips back to the RV dealer and that, for sure, is StressLess Camping. 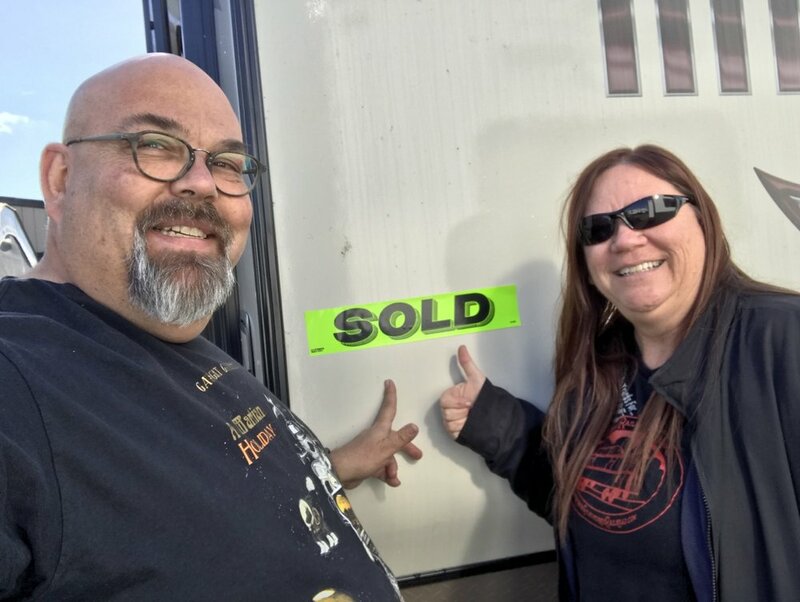 Here are some insider tips to avoiding spending more than you have to and, potentially, not even having to have your RV repaired. The first step in avoiding a ripoff is using your ears. When mechanical systems are working properly they make certain noises that are considered “normal” sounds. For example, when the heater in our travel trailer is about to turn on we hear a distinct “click.” The next sound is the fan blowing and then we hear that “tick, tick, tick” as the heater attempts to ignite the propane. The last sound is the propane igniting (whoosh!) and the heat comes out of the ducts moments later. I will be the first to admit that I’m not sure exactly what’s going on inside the heater but these are the sounds I’m very familiar with when it’s working normally. Tony will likely be able to explain the sounds and what’s happening but, for the purposes of this article, none of that really matters. By familiarizing myself with the sounds and sequence of this mechanical system I am also able to determine which step is skipped if the thing stops working, which it has. Being able to tell the technician the specific sounds that it made or didn’t make, will help them to diagnose the problem more specifically and could save me a great deal of money. It also helps to know the make of the item, such as a Domestic refrigerator or Coleman air conditioner. Don’t worry, it says right on the unit who made it. Remember, you’re paying a technician at least $100/hour and the less time they spend trying to figure out what’s wrong, the less you’re going to have to spend at their shop. So the more you know about the normal operation of things and what led up to a problem or failure, the better. Now, from the nerdy Tony side of things, this is what is happening. Warning, this part is boring as heck to me. It might be to you, too. There is a relay inside the heater that kicks on the fan - that’s the click at the beginning. That’s the switch that effectively turns on the whole system. The fan is the heater fan, of course, but what’s also happening is there is what’s called a “sail switch” that makes sure the fan is blowing as the system doesn’t want to allow ignition without the fan running. The ticking is, of course, the ignition lighting the propane and the whoosh is the propane lighting. Knowing our RV means we replaced the tires before they became deadly. I am not likely to be the person to diagnose the heater but, if I’m familiar with the sound it normally makes, perhaps I can help figure out what’s wrong when it breaks. Not if. When. So that did happen and I got to the point where the ignition was “tick, tick, ticking” but nothing happened after that. Now if I were unfamiliar with the normal sounds I would simply say “the heater’s broken.” That would be a trip to the RV repair place which charges us $110/hour and hours of our time hooking up the trailer and taking it in to the dealer. What happened is there was simply an air bubble in the line and Tony fixed it by lighting the stove thereby pulling propane through the line and eliminating the air bubble. That was free. Being cognizant of normal behavior of the systems in your rig can really save you a lot of money and may even help you avoid dangerous situations. How? We check the air pressure in our travel trailer tires regularly so we know that they used to lose about 10lbs/month just sitting still. Recently we had gone on a trip and, after the trailer sat around about a month, it was time for our Quartzsite trip. But we noticed that the tire on the passenger side of the trailer was down over 20lbs in under a month. This is abnormal. By being cognizant of the normal behavior of things it alerted us that something was wrong. Good thing, too, as the tire completely failed and could barely hold air as we drove to the tire shop. Knowing that we had an issue meant we took side streets and had our tire appointment made. Imagine if that tire had blown at 55 miles per hour or in the middle of the desert? Making ourselves aware of the sounds and conditions of things when they’re normal can go a long way to helping eliminate repairs, or at least save significant time in diagnosis. Or possibly even saving our lives - popped tires at high speed can lead to loss of life. Another thing to know is the make, model and year of your camper. Tony says a lot of the people who call in with questions, both men and women, have absolutely no idea what kind of RV they even have. In fact there are even people who call in who can’t tell the service team what kind of RV they have - fifth wheel, travel trailer, etc. Again the more detailed you can be with the information you provide, the less digging your service techs have to do. As girl campers, or any camper, we can do a lot to take back control of our experience from technicians and others. And the RV techs that Tony works with are always happier when a customer can describe the problem they’re having in a relatable fashion. Often times they will just do a simple fix or repair right on the spot rather than have a customer’s trailer sitting in storage at the dealership. In fact, Tony’s shop has been able to make many very quick repairs at no cost whatsoever to the customer simply because they didn’t spend hours diagnosing the repair - the customer was able to relate what was happening so clearly that they had done the diagnostic work in advance, saving themselves hundreds of dollars and ensuring that they got the right repair the first time. While many of us have zero interest in the systems that make our RVs work, spending time familiarizing ourselves with them and the sounds they make can go a long way toward making each camping adventure a StressLess one. And our wallets will StressLess too!